The Variable Information Market for Transportation and Logistics is estimated to be $268 Million in North America alone, and according to a recent article in Logistics Management volumes are increasing. VIP and standard pressure sensitive paper comprise most of the label substrates used in this market segment with a small percentage of films. 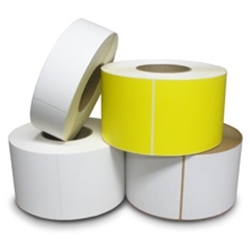 Thermal transfer paper labels are widely used within the transport and logistics industry. I.D. 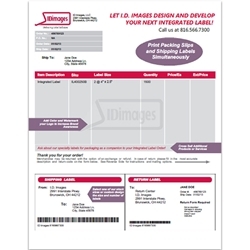 Images also offers mobile media solutions, linerless and integrated labels to give you options to offer your customers. Most labels are used for shipping labels, inventory and asset tracking and container and content identification. Color LPN labels (License Plate Number labels) are often used for quick identification in warehousing for lot separation. We only sell through distributors, but if you are an end-user, give us a call and we will set you up with one of our distributors. Customers can now order our thermal transfer labels online.